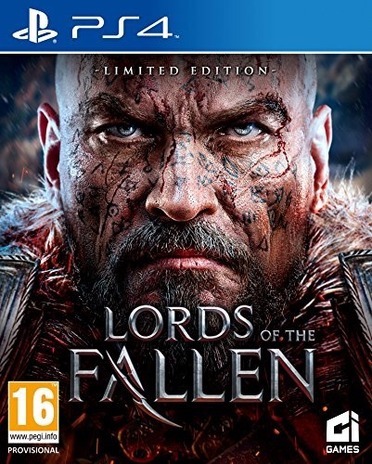 Lords of the Fallen is an action role-playing game, played from a third-person perspective. The game has been compared to Dark Souls with a slow tactical approach to close-quarters combat gameplay, with difficult enemies and locations to overcome, while learning from their encounters. The player takes the role of Harkyn who from the beginning of can be tailored towards the player's preferred combat styles from a range of different classes, each with their own specializations in certain weapons and armor and spells and abilities. A class is determined based on two major choices of three kinds of magic; brawling, deception and solace, followed by the second choice of three different armor sets; warrior, rogue and cleric with different combinations of both choices creating which player chooses how to play as Harkyn from the start. With sets, warrior uses heavy yet strong armor and weapons, the rogue is much lighter and quicker and the cleric utilizes staffs and armor that supports spell use. Magic though makes each class more unique. For example a warrior set combined with brawling magic creates a pure warrior with high strength and vitality, while a warrior set can also be combined with solace magic to create a paladin class that is also but not as strong but can specialize in spell usage early in the game. As the player progresses through the game and defeats enemies however, experience can be gained and spent to upgrade Harkyn's skills and unlock new spells to use in combat.